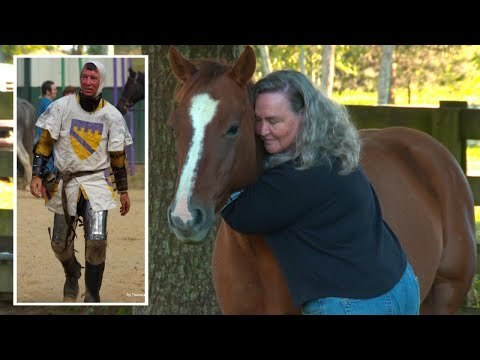 The wife of a Virginia man who accidentally impaled himself while competing in an equestrian event at a renaissance festival is struggling to come to terms with his death. Deborah Barclay told Inside Edition her husband, Peter, loved the pageantry of medieval times. She never anticipated his passion would be his downfall. Peter, 53, was killed in a freak accident after his metal-tipped spear hit the ground and flipped, piercing him through the abdomen at a competition in Williamstown, Kentucky.